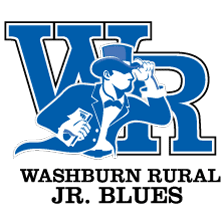 The Washburn Rural Forensics Squad invites you and your students to the annual WRHS Invitational Forensics Tournament to be held on Friday and Saturday, February 2-3, 2018. On Friday, February 2, we will be offering four rounds of Lincoln-Douglas and Public Forum Debate. We will also hold three sessions of Student Congress. We will attempt to generate enough numbers to offer a Senate Chamber However, if we don’t get a minimum of 16 congresspersons entered in the Senate, we will collapse it into the remaining varsity houses. I would like to have at least three house chambers with “C” house being for your novices. Please keep this in mind when you are registering. On Saturday, February 3, the tournament will consist of three preliminary rounds of competition followed by a final round to determine placing and State Championship Qualifiers. The events on Saturday will include: Original Oration, Informative Speaking, Domestic Extemporaneous Speaking, International Extemporaneous Speaking, Impromptu Speaking, Humorous Interpretation, Dramatic Interpretation, Duo Interpretation, Prose and Poetry Interpretation. IN ADDITION, we will offer JV Domestic Extemp, International Extemp, Humorous Interpretation, and Dramatic Interpretation. NSDA rules will apply to OO, DX, IX, HI, and DI. KSHSAA rules apply to Oral Interpretation, IMP, and INF. Please note that JV events are open to 2nd year sophomores, or Novices competitors (regardless of year in school). Should entry numbers not warrant separate divisions in DX and IX, JV Extempers will be merged into one JV Extemp Division. If collapsed into one division, contestants will choose whether they draw from domestic or international topics. For more information about the tournament, please refer to the enclosed “Stuff You Need to Know” sheet or contact me via email at ellistim@usd437.net. This is the best option; but, if you need to speak to me in person, you may call me at (785) 840-8393 (cell phone). The tournament will be scheduled on Thursday, February 1st, so please make your changes before this date. There will be no refunds after February 1st. Step1: Upon receipt of this invitation, determine if you will plan to attend and respond by email with that information. A simple “yes,” or “no,” is all we ask by Thursday, January 18th. Please indicate tentative plans to enter Lincoln-Douglas, Public Forum and Congressional Debate, and/or Speech/ Interpretation events [be as specific as possible as to which events you will strive to enter. Step 2: Those schools responding “yes” will receive additional information regarding registration. In short, we will be asking for (hopefully) serious entry numbers by Tuesday, January 23rd, and our plans currently include completing final registration of entries via Tabroom.com. When registering via Tabroom.,com, you will need to enter names, and events. Final Registration will be OPEN at 8:00 AM, Monday, January 22nd; and CLOSE at 5:00 pm on Wednesday, January 31st. In order to allow you this much time to finalize your registration, it will be very important that you complete registration via Tabroom.com as indicated in this time frame. Thank you for your time and efforts and we look forward to seeing you the first weekend in February.